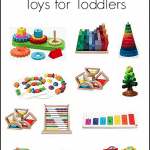 Wondering what toys to get for your little ones this year? 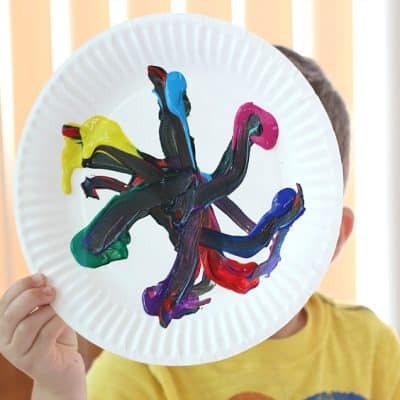 Here are 15 super cool toys they are sure to play with again and again! This post contains some affiliate links. 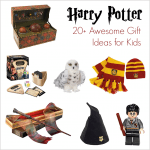 Every year I have so much fun putting together kids’ gift guides to share with you. (You can see all my past gift guides here.) And I’m super excited to share this year’s list of gift ideas with you. 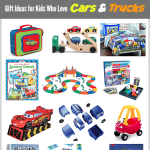 My gift guide this year focuses on toys that your child is sure to want to play with again and again! 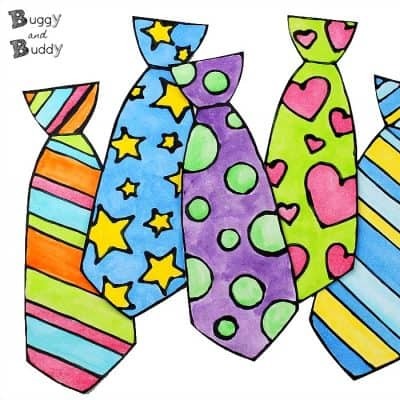 This year my husband and I are really focusing on getting the kids a few quality gifts that are sure to capture their attention throughout the year rather than lots of little gifts that they’ll get bored with after a few days. 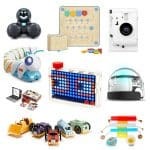 I spent a lot of time researching new toys to buy this year- reading reviews as well as asking tons of parents, teachers, and kids about their favorite toys. 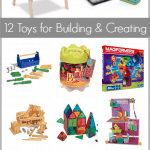 I narrowed down the list to 15 and couldn’t wait to share this great resource with you too- a list of toys that are proven hits! I’m sure you’ll find some gift giving inspiration on this year’s list! Lego sets were always the toy mentioned the most when talking to parents, teachers, and kids about their most often used toys. I love that they have so many different sets available to meet just about any child’s interest. Lucy is a huge fan of the Elves Sets and Mixels (which make great stocking stuffers), while Theo is still loving his Lego Duplo sets! They already have chosen Lego sets to add to their Christmas wish lists! Bramble Box is a new discovery for me this year, and we are just madly in love with it! A Bramble Box is a pretend play kit that a child receives in the mail full of items to inspire imaginative play. 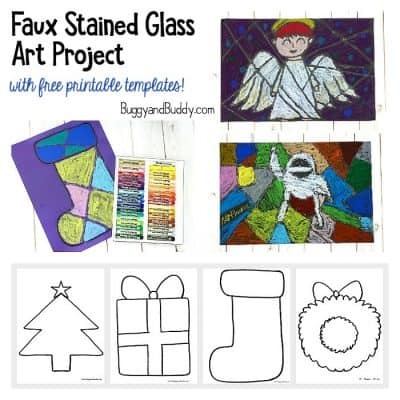 Each box is centered around a particular theme and is geared toward ages 3-8. 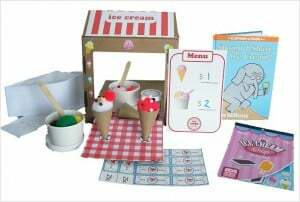 Recently we were given the ice cream shop Bramble Box, and it was an absolute hit! Both Lucy (age 7) and Theo (age 4) jumped right in and were selling pom pom ball ice cream cones to me, my husband, and all their stuffed animals! When they were done playing, we saved the materials so they could play ice cream shop again and again. It’s definitely the gift that keeps on giving! You can sign up for a subscription to receive a new box each month or purchase them as singles. Another item mentioned frequently by teachers and parents was an art easel. 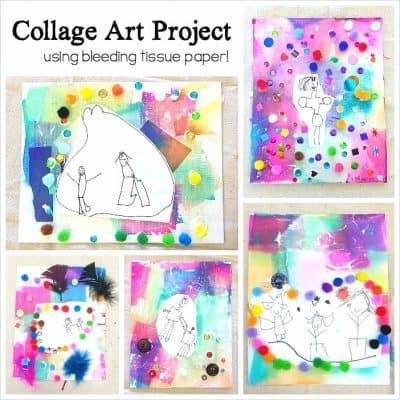 Having an art easel readily available to kids is a great way to inspire creativity! 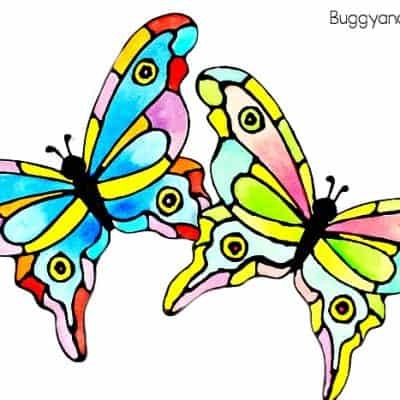 When Lucy was younger, she would use hers daily to create all kinds of artwork and drawings. 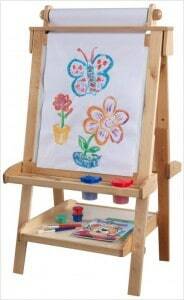 This art easel by KidKraft is made from wood and is double sided: one side is a chalk board, and the other side has a pull-down paper scroll. My favorite feature is the shelf at the bottom where you can store all your art materials! If you have a car-loving child in your life, you surely know about the joys of car mats! Theo drives his Hot Wheels around daily, parking and un-parking them, crashing them, and creating all kinds of traffic jams. 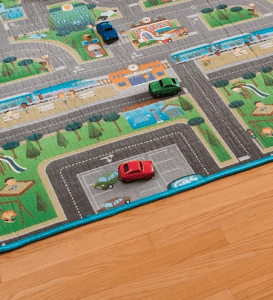 His favorite accessory to use with his toy cars is this reversible car mat. He loves that it’s quite big and has all kinds of roads to drive on. I love that it’s super durable, water-resistant, and nontoxic. We often bring it outside on the patio when the weather is nice! There’s something so inviting about kinetic sand– the kids just always want to play with it! 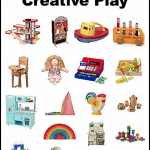 If you’ve never used it before, it’s definitely a play material you want to try out. It feels just like sand, but is moldable. Kinetic sand inspires all kinds of creativity and, unlike many sensory play materials, it’s very easy to clean up. 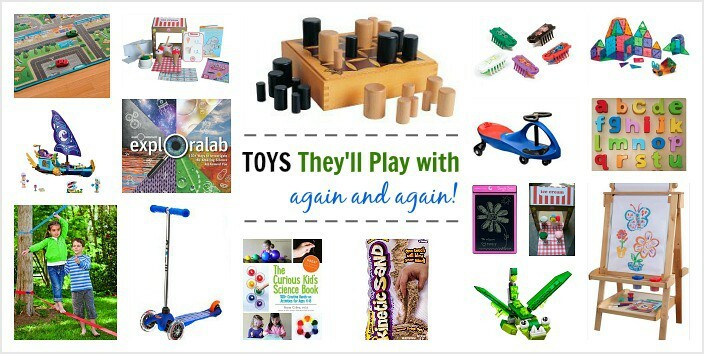 You can combine it with molds, tools, and other items to extend the play! Hexbugs have become a huge favorite in our household, as well as other children’s homes! A Hexbug is a micro robotic creature that moves around using vibrations. 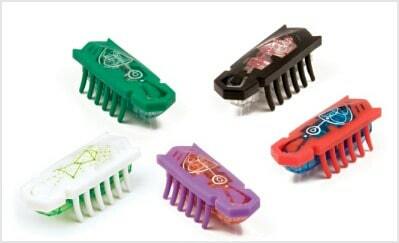 They come in all kinds of forms (like an aquabot or shark), but our favorite is the tiny nano. I love how it inspires the kids to do engineer-like play as they design structures and mazes for their Hexbug Nano using play materials from home. These are small enough to make great stocking stuffers! Oh how we love our Boogie Board! Boogie Boards are electronic tablets you can use for writing or drawing. Simply use the stylus to draw a picture and push the erase button when you’re done to watch the image magically disappear! These are the perfect size to take on road trips- kids can draw, write, or even play games like tic-tac-toe and hangman while driving in the car. Puzzles are always a classic. This wooden alphabet puzzle from Hape is our absolute favorite! I love that the letters are lowercase since those are so hard to find in puzzles. (There is also a Hape alphabet puzzle with uppercase letters available if you prefer.) 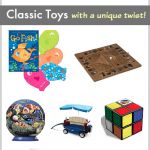 I also love that the puzzle itself is wonderful quality and nontoxic. Theo and I play with it often- such a wonderful, hands-on way to explore letter shapes, sounds, and names. Now that he’s older we’ve even used it to practice spelling words! Science books have been our go-to activity when we’re looking for something fun to do. 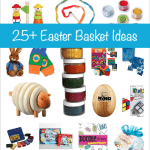 If the kids are bored, we can grab one of the science activity books and find an experiment or activity to do together. Now that Lucy is older, she often goes through them on her own for inspiration! Two of our favorites that are definitely worth owning are: The Curious Kids’ Science Book and Exploralab! Here’s another super popular toy mentioned by parents, teachers, and kids as their favorite- Magna-Tiles! This is one of those things I didn’t buy until last year, and I could just kick myself for not getting them sooner. Lucy and Theo play with these magnetic building pieces almost daily, building parking garages for their cars, creating buildings and towers, and making all kinds of flying spaceships! They come in all kinds of sets. Our favorite is the clear set because you can see right inside these structures you built! Games are always popular gifts to get kids, especially games that are actually fun for adults to play too (makes for a much more exciting family game night)! Gobblet is one of our absolute favorites. The pieces and game board are made from wood which always feels good to play with and will last a long time. And the game itself has won numerous awards. It’s a simple strategy game, similar to tic-tac-toe, and never gets old. It’s one of our favorite games to play together as a family! Quite a few families mentioned Suspend as one of their favorite games. The goal of the game is to balance the metal rods without the structure collapsing. It can be played as a group or individually. I love that this game is great for a wide range of ages (all four of us can play together), and it also seconds as an independent play toy. Theo will often take it out and practice building structures on his own! Slacklining has gained in popularity in our area. You’ll often see kids using their slacklines at the park. They provide a fun way to practice balance and strength while playing outdoors. If you don’t have an outdoor area to use a slackline, you can also buy a set attached to blocks to be used inside as well as outdoors. Pretty much every child around here can be seen on a scooter! One of the most popular scooters in our neighborhood, especially for younger children, is the Micro Kickboard Mini Scooter. This scooter has won numerous awards and is definitely high quality. It even comes in a wide variety of colors. Theo loves taking his to the park and zipping around the blacktop on it! Another outdoor toy that many kids raved about was the PlasmaCar! There’s just something super fun about being able to move your vehicle by just steering back and forth rather than using petals or your feet. I love that no batteries are needed, and it can be used both indoors and outside! I’d like to thank to Lego and Bramble Box for providing us with products to review and include in this guide! Lucy and Theo had a great time trying them out, and we’re happy to share our honest opinion with all of you. What toys would you add to the list? Have any proven favorites you’d like to share with your fellow readers? Please let us know in the comments below! Looking for the perfect gift? 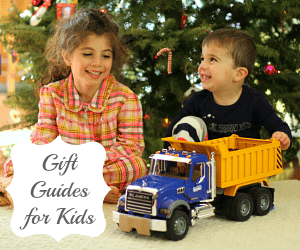 Be sure to check out all our gift guides for kids!